An unexpected alternative to bringing or sending a bottle of wine, this French-inspired accent piece is filled with an intoxicating potpourri defined by delicious notes of red currants, red raspberries, juicy grapes, golden apples and warm vanilla. 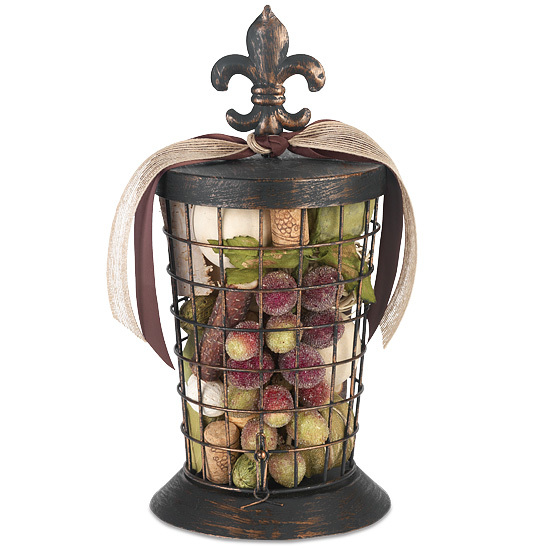 Antiqued canister is tied with a ribbon accent. Carefully remove canister from packaging. Keep away from heat or open flame. The best place to display is indoors, away from direct sunlight, strong heat sources and extreme moisture, where you can enjoy the fragrance. Please note: outdoor display is not recommended. All MGR Design International products are made in the USA and formulated using ingredients that are known to be safe, effective and reliable.